How much time do you spend in a state of wonder and amazement? What is getting in the way of you being curious and fascinated? 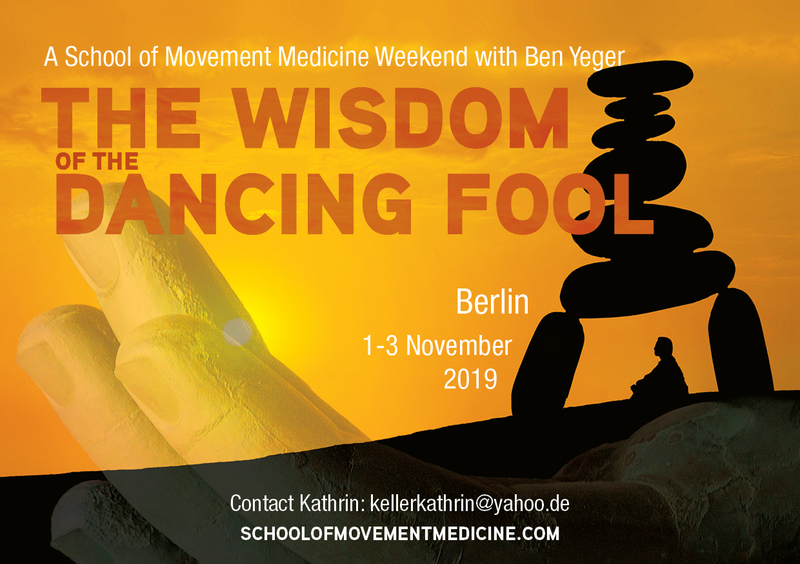 In this workshop, you will be invited to take a step into the shoes of the Dancing Fool, exploring ways back to your curiosity, humility, lightness and spaciousness. Remembering how it is to be connected and at peace with yourself and the world around you. When we attach ourselves to polarising opinions, fixed positions and taking ourselves too seriously we can loose sight of the simple things in life. The dancing fool can help us untangle this tendency. Exploring this archetype can help us practice non attachment to absolute rights and wrongs, to see the good in life and find a sense of infinite possibility and expansiveness. We will draw on Movement medicine, clowning and Drama Therapy to explore this rich and playful terrain. The day promises to be surprisingly revealing and have shades of shamanic foolery. Laughter might occur and having a good time will be permitted.